The kids, Sharmila and I went to Chile and spent over a week there. We had a great time in Santiago, the valley of Casablanca, Vina del Mar, Valparaiso, Portillo, Zapaillar, Pomaire and such other beautiful places. Juan Catalan was the guide and chauffer and he was the big difference why we enjoyed it so much this time!!! Back in a plane! Goodbye Chile. For now, I guess. Sharmila loves the country so much, she wants to move here. She has even fixed the small town where she wants to move. I will wait for her to master her Spanish till she can order right size ice cream 🙂 — with Sharmila Roy. Back to the valley of Casablanca. 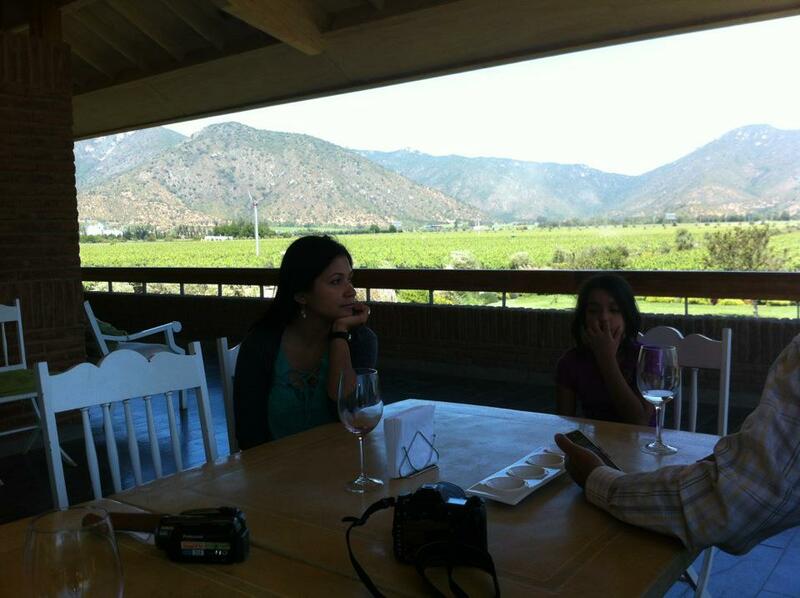 Wine, chocolate, mountains, valley for us. Alpaca, peacocks and playing in the lawn for the kids… — with Sharmila Roy at Viña Emiliana. 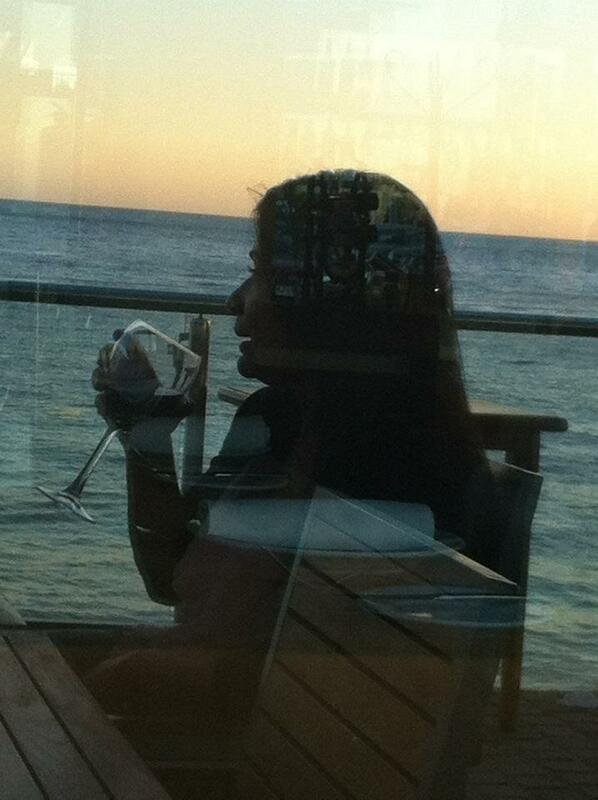 Sharmila sipping Pinot off her glass. 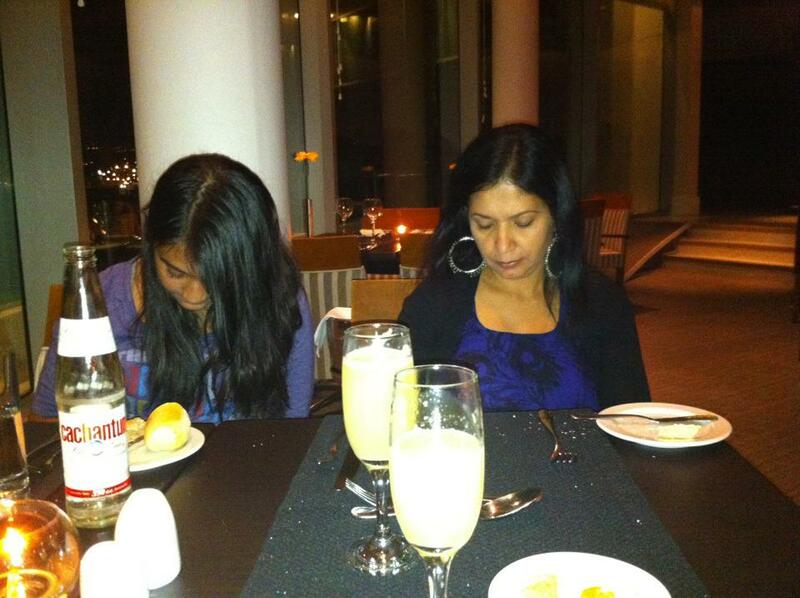 Me taking a shot of that off another glass (bar window) — with Sharmila Roy atTierra de Fuego. There is something weird about listening to NFL in Espanol. 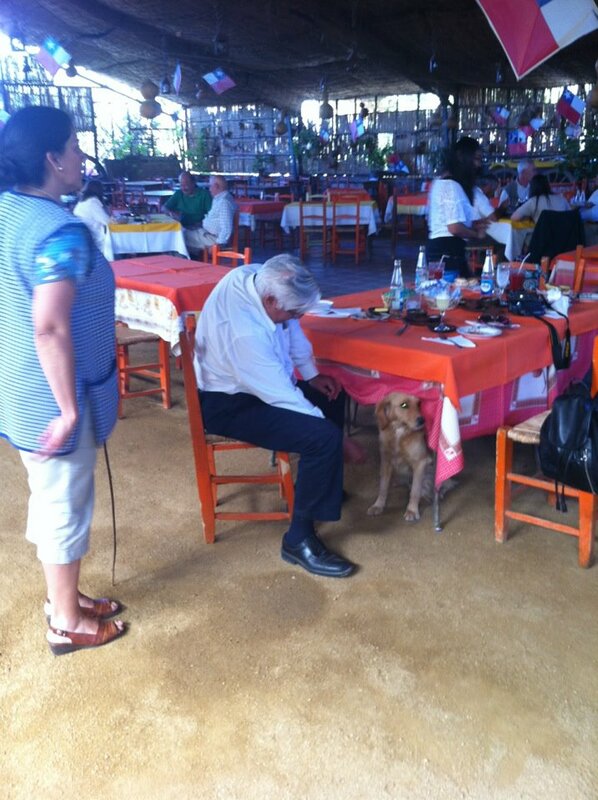 At least they are showing the Cowboys game live here in Vina. 10K run. Vina del Mar to Renaca beach and back… For whatever reason, here everybody runs in the evening. I saw only a couple of runners thus morning. I had to dodge ten times as many street dogs. The street dogs looked well fed and therefore unlike the Indian variety, completely ignored me!! 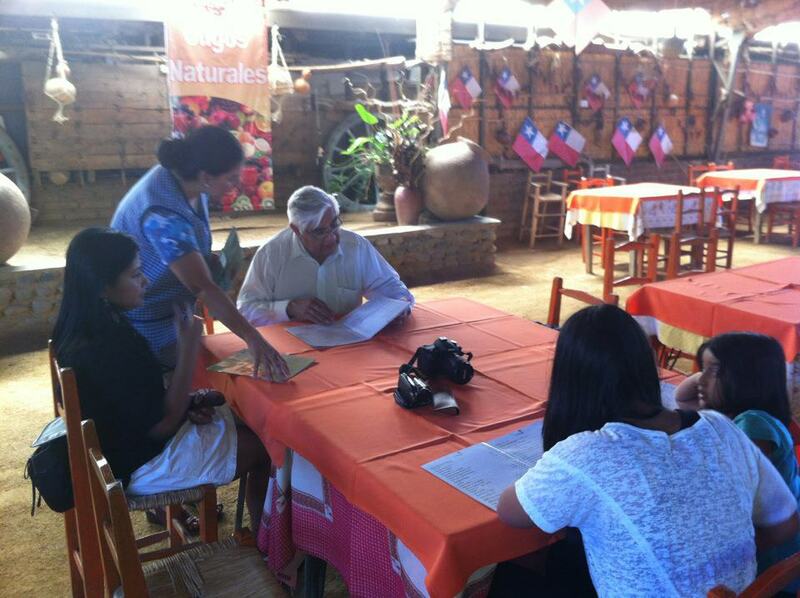 Eating lunch – Indian “dhaba”-style in Pomaire, Chile!!! 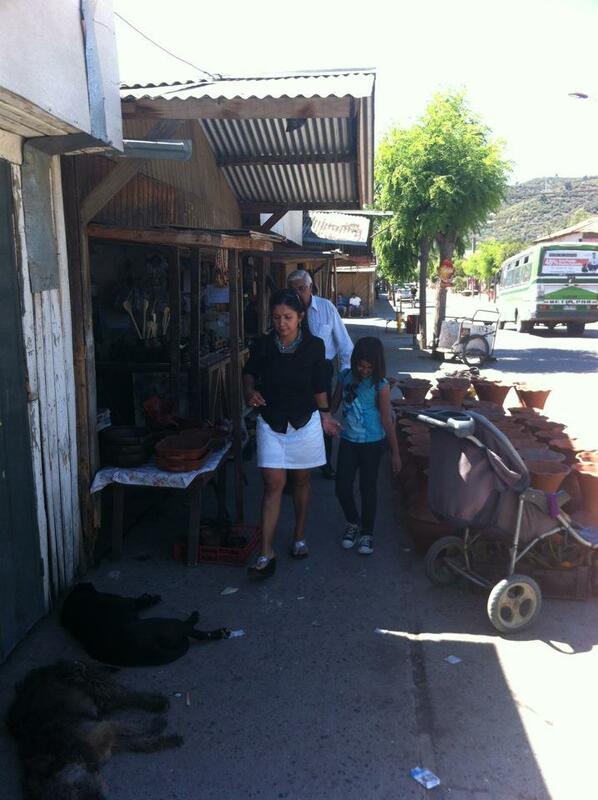 Shopping in the pottery capital of Chile!